Gingera is a representation of a redhead’s delicate physicality and a ginger’s fiery disposition. The two contrasting tempers, present in the redhead essence, are depicted through the pale, translucent bottle and spicy, unfiltered taste. Gingera was born to prove that redheads can succeed anywhere without having to adapt and sacrifice just because they were born with a slight mutation of the MC1R gene on chromosome 16. Redheads have long been disregarded in the sun- and patio- loving beer industry just because they burn more easily when exposed to UV rays and can’t absorb sufficient Vitamin D due to low concentrations of eumelanin in their body. But owing to determination and the fact that their hair is red, are now poised to redefine the perception of beer. Gingera stands for all phenomenal redheads, it stands for all their successes and beautiful moments, from Vincent Van Gogh’s groundbreaking and expressive brushwork to Carrot Top’s masterful eight years in residence at the Luxor Casino. Gingera is here to remind redheads how important and exceptional they are. It is here to celebrate strawberry blonds, copperheads, and firecrotches in all forms. 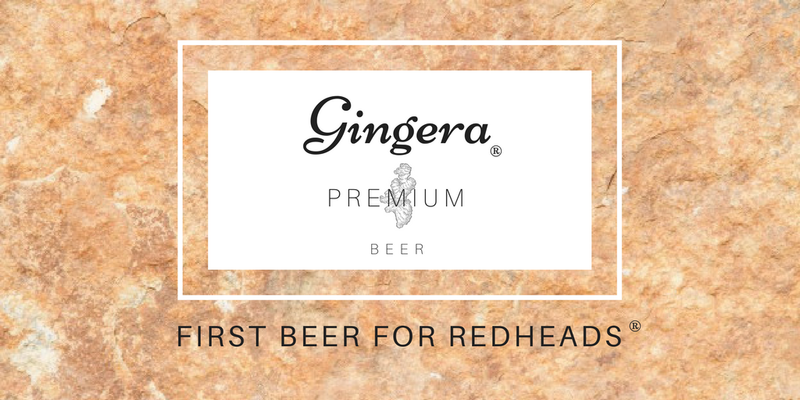 Gingera is a beer created by redheads for redheads. Gingera is here, for you! Behind the brand is the founder Pippi Reid, for whom her own brand was a fulfilment of a desire to awkwardly market a beer to a specific demographic by reducing that demographic to some stereotypical traits and assuming that demographic all like the same thing because they must share those traits. The main ingredient in this 6.5% amber ale made with real ginger is sunscreen, which gives it the nostalgic aroma of walking with a ginger on a summer day. Or spring day. Or autumn day. Clearly, Gingera isn’t a real thing. But this ridiculousness really isn’t that far off from Aurosa For Her which, sadly is a real thing. 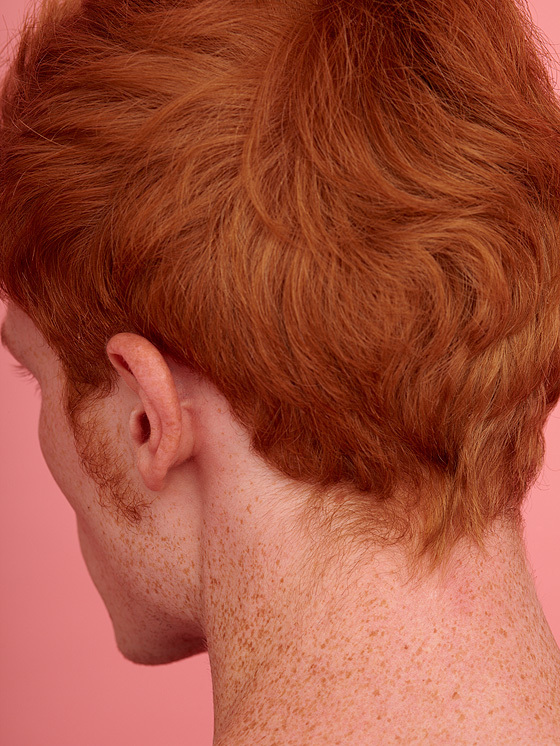 These images were taken from the website for MC1R The Magazine for Redheads which, yes, is also a real thing. Categories: Beer | Tags: aurora for her, carrot top, ginger, marketing, redheads | Permalink. Nice piece of sass. I thought there was already a beer marketed to gingers. Red heads have been drinking beer since time began. Some of the greatest beer drinking culture such as the Vikings are renowned for their hair colour. I do think you got it right with it all begins with choosing the wrong way to segment markets. If you just had one more step… Does anyone have a problem with marketing to _______. Thanks for the laugh and the sobs. I feel like the Aurosa marketing verbiage already reads like something from The Onion and any right-thinking individual will see how silly it is such that a satirical twist like this seems unnecessary. Most of the media attention surrounding Aurosa centres around the backlash caused by so many people finding it absurd. Are there really people who think otherwise? I doubt anyone who reads your blog was on the fence on this and was like “Oh yeah, this Swiftian analogy really opened up my eyes to the stupidity of lady beer”. Oh cool. I guess I’ll just quit writing and make this domain a landing page for Robin LeBlanc’s blog. Thanks. In a world where media attention says… and who thinks otherwise, I give you Donald Trump.